August 24, 2018: The magic of storytelling and theater is celebrated in various forms at the Shaw Festival in picturesque Niagra-on-the-Lake, Ontario. 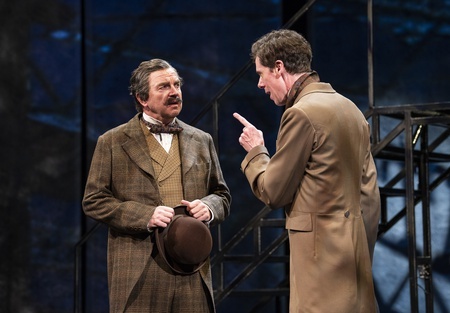 The captivating spell of a fascinating tale is the essence of stage adaptations of classic yarns by Arthur Conan Doyle and C.S. Lewis while contemporary playwright Sarah Ruhl examines the contrast between the fantasy of the footlights and the harsh realities of life. The venue’s main stage Festival Theater plays host to the Victorian thriller The Hound of the Baskervilles and C.S. Lewis’ Christian fable The Magician’s Nephew, the sixth of his Narnia tales, but the first chronologically. 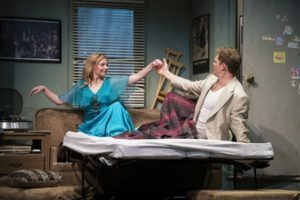 Ruhl’s clever Stage Kiss, previously presented Off-Broadway by Playwrights Horizons in 2011, holds sway in the intimate Royal George Theatre. 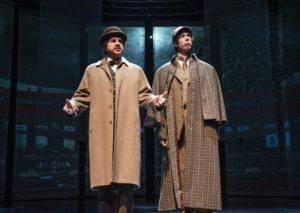 R. Hamilton Wright and David Pichette adapted Conan Doyle’s Sherlock Holmes vehicle for Seattle Repertory Theater and the Shaw production represents the Canadian premiere of their version. Craig Hall’s epic staging stretches across three acts and includes a plethora of dazzling stage effects augmented by Jamie Nesbitt’s brilliant video projections, Alexis Milligan and Mike Petersen’s thrillingly life-like puppet creation of the titular supernatural canine, and Dana Osborne’s evocative sets and costumes which take us through bustling Victorian London, the creepy Baskerville mansion, and through the terrifying Grimpen mire, full of menacing moors and quicksand traps. 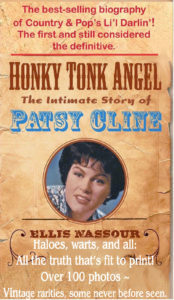 Hall combines all these elements into a pulse-pounding evening, spinning a spellbinding tale of murder and the macabre. But for all the superlative design and staging components, the human factor creates the most interest. This is chiefly provided by Damien Atkins as a startlingly intelligent and prickly Sherlock Holmes. Atkins captures the iconic detective’s quicksilver, quixotic temperament and his mastery of disguise, slipping in and out of a variety of personalities to investigate the plot to snuff out the new heir to Baskerville Hall. A great deal of fun is also supplied by his relationship with Rick Reid’s fatherly Watson. Unlike Nigel Bruce’s Watson in the classic 1940s film series, Reid’s sidekick is no bumbling duffer, but a sharp sleuth equal to match wits with Atkins’ Holmes. Their interplay is like that of an old married couple and a clash of marvelous minds, played to the hilt by Atkins and Reid. 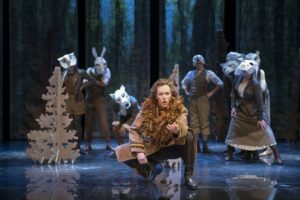 The action does slow a bit in the second act when Atkins is offstage for long stretches, but this Hound is still a fleet, action-packed show. 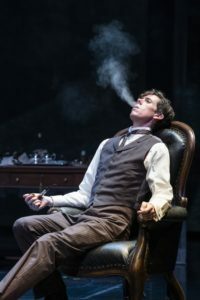 Shaw artistic director Tim Carroll also ably transfers a beloved literary classic to the Festival stage with The Magician’s Nephew, playwright Michael O’Brien’s adaptation of C.S. Lewis’ Christian-themed fantasy. The central plot deals with the genesis of Narnia, the parallel world ruled by the benevolent lion Aslan and threatened by Jadis, the malevolent White Witch. 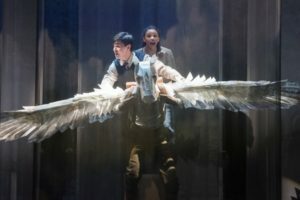 The adventure involves kids Diggory and Polly, Diggory’s foolish uncle Andrew who dabbles in magic, and a flying horse, jumping between World War I-era London and Aslan’s new realm. Lewis’s original is set in 1900. The change is made presumably to tie in with the Shaw Festival’s theme of the 100th anniversary of the end of the Great War. Aslan is cast as an incarnation of Diggory’s father, a British officer absent from home. O’Brien provides two framing devices for the action. One has ensemble members cast as Dream Detectives, who elicit dream scenarios from audience members and who play multiple roles. The other has Diggory and Polly as contemporary children, inventing the whole story for their mother. This double distancing proves a bit unnecessary, yet once the main story gets going, Carroll’s fluid staging, augmented by projections, masks, puppetry, and Claudio Vena’s delightful original music keeps the proceeding moving at a welcome rapid clip. Travis Seetoo and Vanessa Sears capture the childish enthusiasm and wonder of Diggory and Polly. 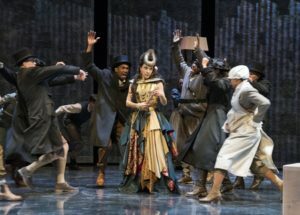 Steven Sutcliffe is hilariously pompous as Uncle Andrew and plays marvelously off Deborah Hay’s deliciously wicked Jadis when she leaps into our world and threatens to take over. The mostly young audience at the matinee attended were enraptured throughout, particularly when they were encouraged to participate directly, as when a symbolic apple, representing the promise of the new Narnia, was passed across a row of theatergoers. All were silent and eager to be a part of this mystical, magical creation. 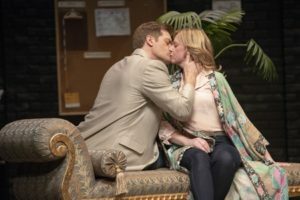 Sarah Ruhl’s Stage Kiss explores the contrast between stage magic and grim reality with ironic humor and Anita Rochon’s light-footed production at the Royal George makes you laugh and think. 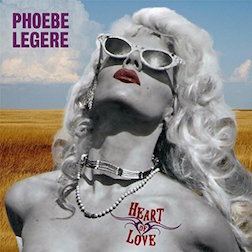 A formerly romantic actress and actor, listed in the program as She and He, play extramarital lovers in a Noel Coward-esque revival. 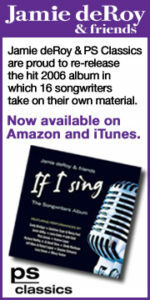 Their onstage lip-locks lead to a rekindling of their passion and they leave their respective partners to start again. 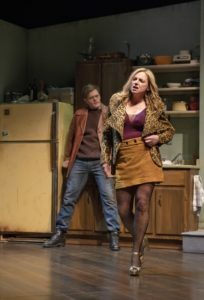 In the second act, they appear together as a battling Irish thug and Brooklyn prostitute and again their onstage relationship parallels their offstage one, causing them to split. Ruhl gets in plenty of gags on the struggles of the actor’s life as well as insights on why people go to the theater, the difference between film and stage, and the difficulties of staying married. Fiona Bryne and Martin Happer deliver a gamut of emotions as the tumultuous She and He, ricocheting between unbridled amour to red-hot anger to wry regret. Jeff Meadows, Neil Barclay, Sanjay Talwar, Sarena Parmar, and Rong Fu provide spice and sass as members of the company and the family of the tangled pair in this bittersweet valentine to the theater, a sweet dessert to go with the light children’s platter of The Magician’s Nephew and the hearty main dish of The Hound of the Baskervilles. Aug. 12—Oct. 27. Festival Theatre, 10 Queen’s Parade, Niagara-on-the-Lake, Ontario. Running time: two hours and 50 mins. including two intermissions. May 11—Oct. 13. Festival Theatre, 10 Queen’s Parade, Niagara-on-the-Lake, Ontario. Running time: two hours and 10 mins. including intermission. May 11—Sept. 1. Royal George Theatre, 85 Queen St., Niagara-on-the-Lake, Ontario. Running time: two hours and 20 mins. including intermission.